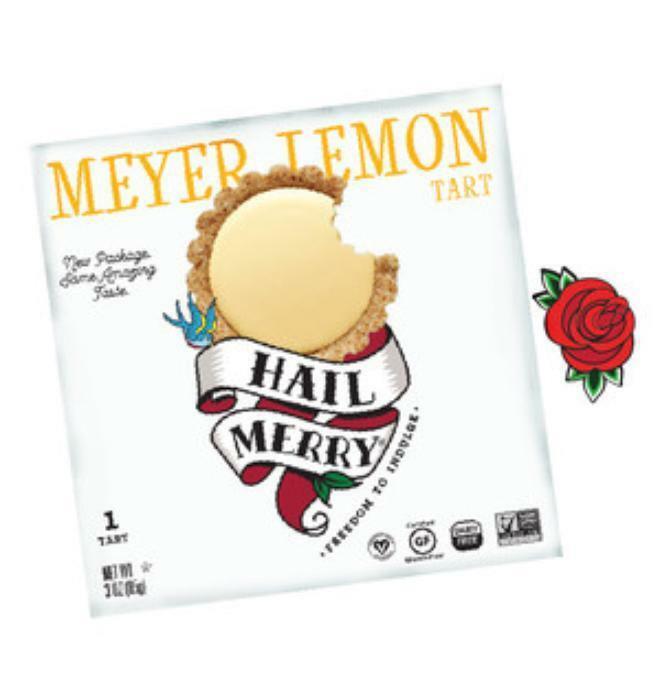 Hail Merry LLC, a plant-based snack food company, is recalling its Meyer Lemon Mini Miracle Tart Party Pack of 6. The product contains cashews, an allergen not declared on the label. The recalled product can be identified by a bright yellow sleeve reading "Meyer Lemon Mini Miracle Tarts" wrapped around a black tray containing six miniature lemon tarts. Net weight is listed as 4.65-oz on the front of the sleeve, and the UPC code 816247010876 is on the back. It was sold in retail stores nationwide. Consumers with questions may contact Hail Merry at 214.905.5005 x115 or by email at customerservice@hailmerry.com.